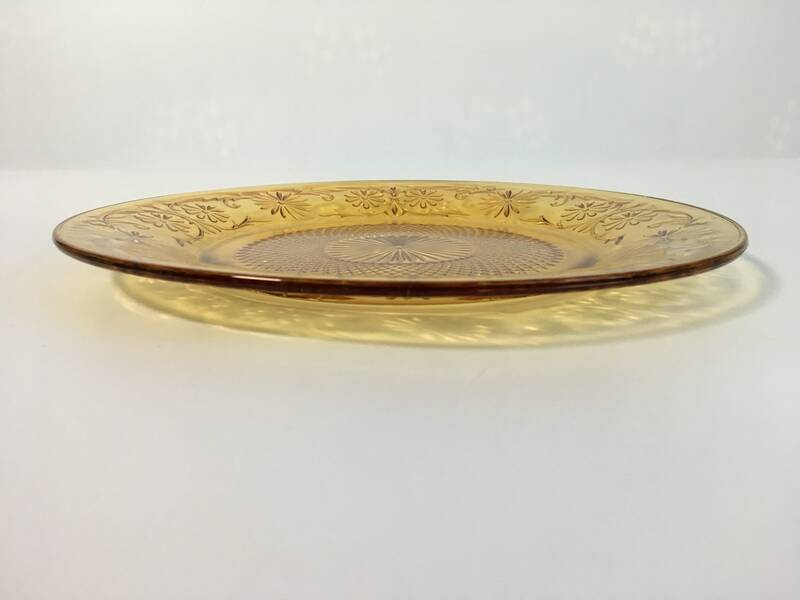 Antique or vintage amber colored pressed glass cake or serving plate that is round. 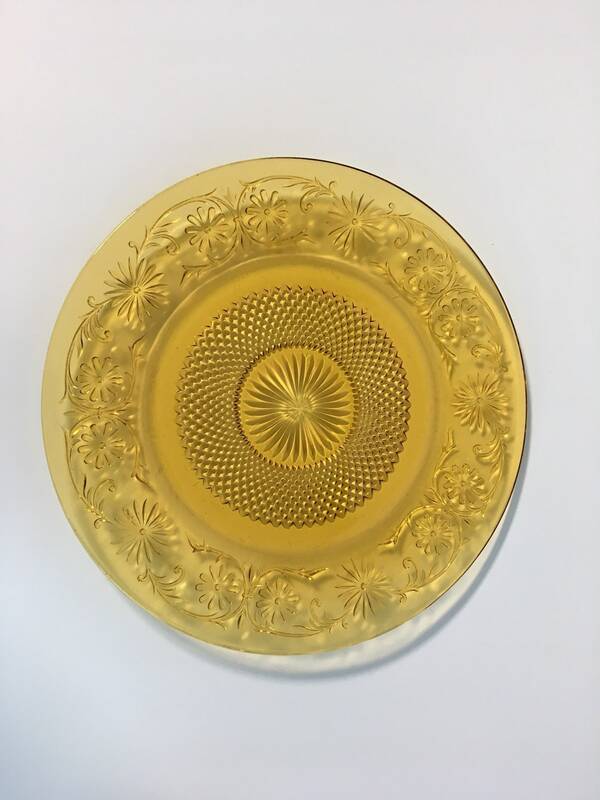 It is similar to patterns produced by Indiana Glass in the 1940 - 1960s time frame. 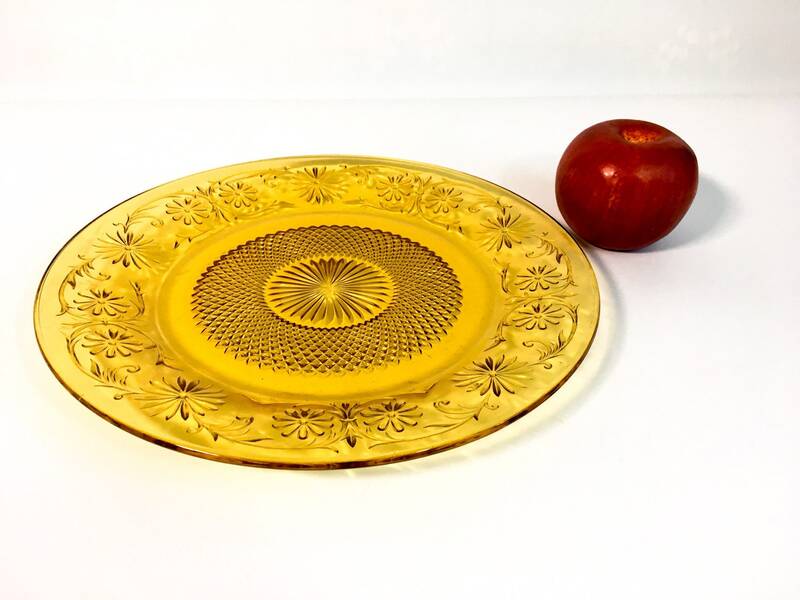 The top edges have a vine, sunburst and floral design all around the edges. There are rays or lines that come from the center, and then has another rim of waffle design in the center around these rays. 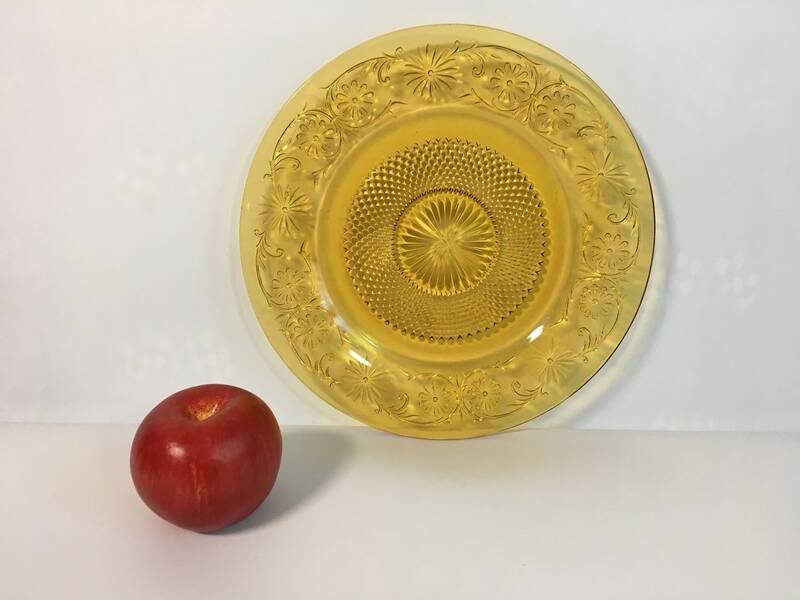 This amber glass plate is in nice vintage/antique condition with no chips or cracks. 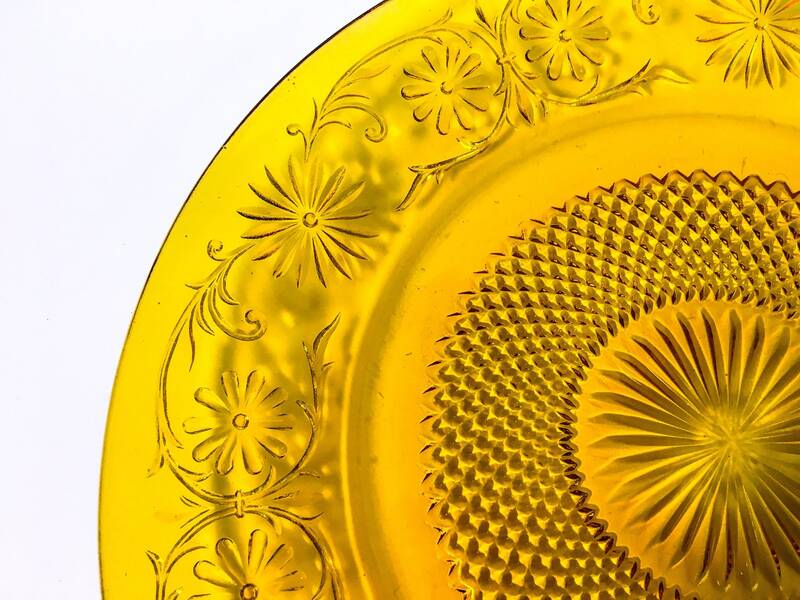 Bubbles throughout as is typical of these kind of glass. Light wear commensurate with vintage age. 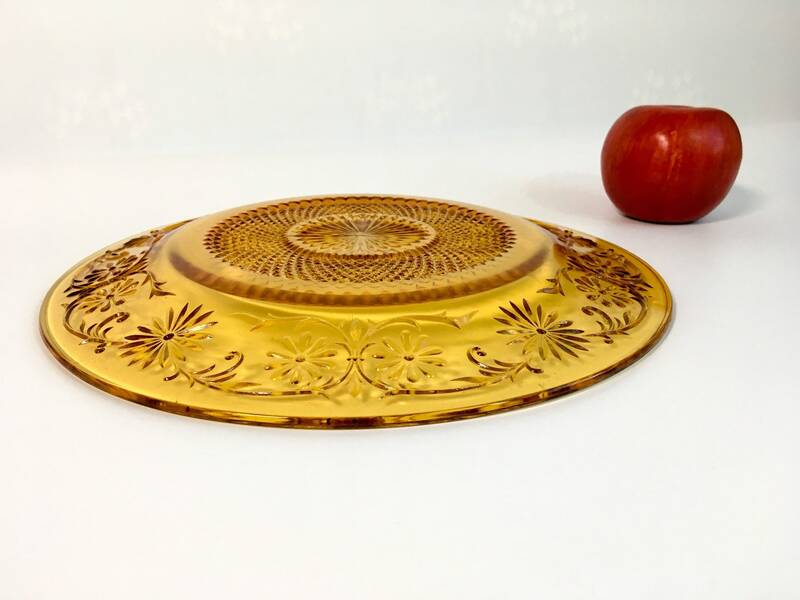 This would be perfect to display your cakes - birthday, anniversary or wedding. 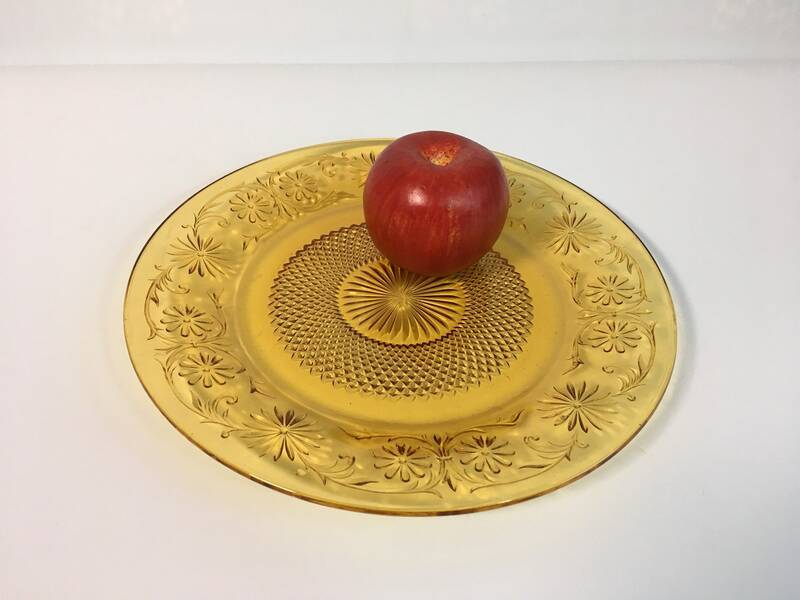 The color of this cake or serving plate would be gorgeous on a Thanksgiving table!